Teaching has changed over the eighteen years I’ve been doing this. The expectations are different. The always-connected, twenty-four-seven nature of our instant-messaged world levels the playing field between students and teacher. Actually, leveling isn’t quite the right word; I think it has pitched the field noticeably against the teacher. Rather than have to trek across campus to visit the professor’s office to ask a question, a student can ask it with just a few keystrokes, any time of day or night, often not even including a salutation at the beginning, not even a “Hey you”. In my own experience, when I offer what I think is a helpful answer, I often don’t get a response of any kind. So, I don’t even know whether they’ve received my answer, let alone if it actually helped them. Sometimes, I’ll even get a complaint that I should have explained something more clearly in class, or that I didn’t cover a problem on the homework verbatim in class, as if I teach a subject that has anything to do with regurgitating what we studied before. In these situations, I’m always so tempted to respond, “Would you like fries with that?” Of course, I don’t, but that’s how I feel more often than not these days. I keep looking for my paper hat. I sense that this post is quickly turning into a “Get off my lawn” kind of diatribe, and I fully realize how old I sound. I also know I risk communicating the notion that all my students behave so rudely, which is certainly not anywhere near the case, or that I don’t actually want their questions, because I really do. I enjoy helping students who want and need help and have worked with the material long enough to know how to ask their questions. But when a student responds without even a modicum of respect, intimating that it is my obligation, as their server, to fulfill their needs – the needs of the customer – I grow indignant. I didn’t study so long and work so hard and develop my expertise so thoroughly just to become a bellhop in a posh hotel. Succeeding in the classes I teach is a fairly straightforward proposition. I don’t throw any curve balls. I occasionally groove a fast ball right down the middle, and my fast ball is fast. But, if they would swing like I’ve urged them to – if they TOOK NOTES in class and STUDIED THEM every night, and STARTED THEIR HOMEWORK AS SOON AS IT WAS ASSIGNED and ASKED ME QUESTIONS in class and elsewhere after having worked with it to find their own road to the answer, and WORKED OUT EXAMPLES on their own as much as they needed to understand how to do what I’d taught them – they would hit it out of the park. It’s a guaranteed proposition. And yet, when I’ve explained this in class, and I’ve emphasized the need to TAKE NOTES, hardly anyone does. It’s almost like they’re saying, “Get a load of this guy,” before proceeding to do whatever they were doing before my nasally voice disturbed the silence. It didn’t used to be like this. Honestly, I don’t remember that ever happening when I was in college. People took notes. People studied those notes. True, most of us didn’t have to work so many hours outside of school just to be able to afford it. But we all did our part inside the classroom at least. Hardly anyone now seems interested in doing that. Hardly anyone seems willing to use those fifty in-class minutes constructively. Part of this is surely the fault of the academic institutions. We’ve been sending the wrong message for some time now. In our efforts to turn our campuses into four-year vacation spas, complete with brick-lined walkways, rock-climbing walls, and glass-walled apartment villages, just to compete with each other in the game of luring students to our particular spa, we drove up tuition costs 260% between 1980 and 2015. In the process, we’ve saddled students, who saw these shiny things as incentives to attend our institution, with mortgage-sized debt. Given how much students are paying, it’s hard to fault them for demanding that faculty serve them their burger hot and fresh. As another example, a student recently wrote a high-ranking university official when they didn’t like my response to a concern over which I had no control. My response did not solve the student’s problem (because I had no actual ability to solve his problem), and so he wrote my “boss”. This was not the first time the student had called me out for my response to a problem I could not solve by copying a senior official. He had done so before, with a different administrator, about a subject I could do as much about as I could do about the weather. Essentially, the student had walked up to the customer service counter I was apparently staffing and demanded to speak to my manager, except he didn’t demand it: he just did it. Fr. James Schall, a Jesuit priest and Professor of Political Philosophy at Georgetown University, described the responsibilities of teachers and students in his 1988 book Another Sort of Learning. He explained that students must trust that their teachers know something that is worth their time and effort to learn. They must then be open to learning it, to letting and helping the teacher convey that worthy knowledge to them. They must actively work to master the material, struggle with it and view it from multiple sides, and reconstruct it in their own way and on their own terms. In other words, “the student owes the teacher trust, docility, effort, [and] thinking.” The teacher’s role is to help students channel these virtues effectively in the learning process. It is not to play Human Google. Students pay far too much for their college education today by any standard, and they rack up far too much debt. That isn’t the professors’ fault. 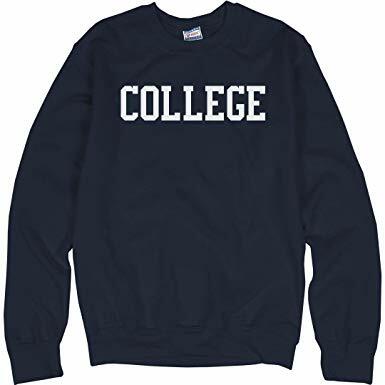 It has resulted from the mistaken notion that everyone must go to college and that colleges, to compete in what has become a mass market, must punch well beyond their weight. Tom Nichols explains these dynamics extremely well in Chapter 3 of his spot-on lament The Death of Expertise. But students can make it far more worth their while by trusting that their professors know what they’re teaching, by welcoming and acknowledging and showing gratitude for their help, and by using that assistance to come to their own understanding of the material. Students, you’re paying to participate in a centuries’ long tradition. That’s not a commodity; it’s a privilege. You are paying way too much to settle for heat-lamp burgers and fries, so skip that line and get in mine. I am your guide. I am someone you should aspire to be, not presume to command. Thank you for the thoughtful comments, Marek. I do remember you! Congratulations on what you have achieved. Just one rebuttal: old school ain’t necessarily bad. Old school can be better. I do agree with the tittle above.